Hi there. Here’s my new tutorial published at Vectortuts. 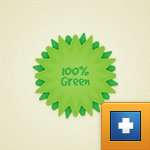 In the following steps you will learn how to create a green web badge in Adobe Illustrator. For starters you will learn how to use the Star Tool and how to create your own star shape. Next, using the Live Corners feature you will learn how to easily add roundness for some of those sharp points. Moving on you will learn how to add subtle shading and highlights. Hi there. Welcome back to the second part of the tutorial published at Vectortuts. 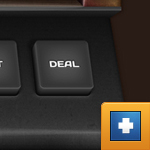 In the following steps you will learn how to create the rest of the poker machine. First, using basic blending and vector shape building techniques along with a simple blend you will create the buttons area. Next, you’ll learn how to save some simple symbols. Using these symbols along with several Transform and 3d Extrude & Bevel effects you will learn how to create the buttons. Hi there. Here’s my new tutorial published at Vectortuts. In the following steps you will learn how to create a detailed five cards poker game interface in Adobe Illustrator. In this first part you will learn how to create the screen of a poker machine. We’ll start by creating several pixel perfect shapes using the grid and the Snap to Grid option along with basic vector shape building techniques. Hi there. Have a look at my new tutorial published at Vectorcove. In the following tutorial you will learn how to create a simple image slider in Adobe Illustrator. For starters you will learn how to set up a simple grid and how to create pixel perfect shapes. Taking full advantage of the Appearance we will create the main image frame. Next, you will learn how to easily mask an image and how to add subtle shading. Hi there. Have a look at my new tutorial published at Vectorcove. 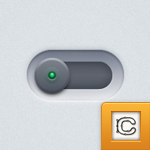 In the following tutorial you will learn how to create a neat switch button in Adobe Illustrator. For starters you will learn how to setup a simple grid, how to create the textured background shape and how to easily center it. Next, using two rectangles and two circles, taking full advantage of the Appearance panel you will learn how to create the shapes that will compile your button. Hi there. 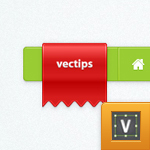 Checkout my new tutorial published at Vectips. 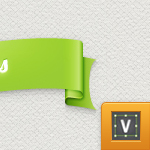 In the following tutorial, you will learn how to create a simple web ribbon in Adobe Illustrator. For starters you will learn how to set up a simple grid and how to create the main shapes using basic tools and vector shape building techniques. Next using subtle linear and radial gradients along with some simple blending techniques, you will learn how to add shading and highlights for your ribbon. Hi there. 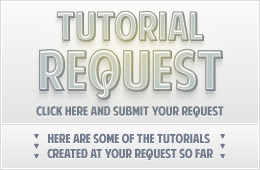 Checkout my new tutorial published at Vectips. 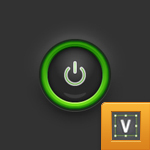 In the following tutorial, you will learn how to create a simple power button in Adobe Illustrator. In the beginning you will learn how to set up a simple grid and how to create and center a simple rectangle that will make up your background. Next, using basic vector shape building techniques you will learn how to create the circle and the compound path that will make up your power button. Hi there. Here’s a new tutorial published at Vectortuts. 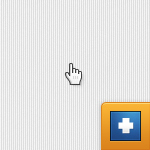 In the following steps you will learn how to create a set of pixel perfect hand cursors in Adobe Illustrator. For starters you will learn how to prepare your new document and how to setup a simple grid. Next, using the Rectangle Tool, the Ellipse Tool and the Pen Tool along with the Rounded Corners effect you will learn how to create the shapes that make up your hand cursors. Hi there. Checkout my new tutorial published at Vectips. 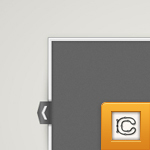 In the following tutorial, you will learn how to create a simple menu bar and a sleek web ribbon in Adobe Illustrator. For starters you’ll create pixel perfect shapes using the grid and Snap to Grid option. Next taking full advantage of the Appearance panel and using basic vector shape building techniques, you will learn how to add highlights and shading for your menu bar. Hi there. Checkout my new tutorial published at Vectips. 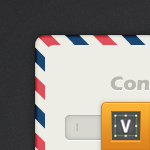 In the following tutorial you will learn how to create a simple contact form in Adobe Illustrator. You’ll start with some basic tips on how to create and tweak a simple pattern. Next, taking full advantage of the Appearance panel, you will learn how to create the main contact form shape, the sleek text fields and the subtle send button.